I picked up my favorite: Inc Magazine. On the front page, is the big words “how to nail a startup”. Like it’s something wonderful. The only thing that caught my eye that might be interesting, is the little..bitty…title of an article about an ADHD CEO in the corner. Anyway, I flip through the rest of the pages, almost everything is about a tech startup. To the point to where it is now becoming beyond ridiculous. So, I put the magazine down, and grab Entrepreneur.com. An old favorite, but has slowly been going down the hole. Another front page cover of “startups”. Flip through same thing, nothing but ads and stories about tech startups. The only magazine that wasn’t talking about startups, is Harvard Business Review. Sadly, their stories are usually over complicated, I don’t even look at it. Then this morning. It’s 6am, I’m just waking up and I turn on the TV laying in bed. As soon as my TV comes on, there is a story of Facebook’s IPO on the Today Show. Matt Lauer says “so these companies don’t really make money though, correct?” The other guy goes on to say “well…uh, it actually did bring in $1 billion”. With tech startups, you shouldn’t feel like “the playing field is uneven” either…if anything, you should feel bad for them. Their market is flooded with competition right now. Alot of them can’t even make money anymore, because everyone else keeps dropping their price. Products that they spend years building, are being given away to customers for free. So even if you truly were passionate & skilled about tech, you can’t get in the market unless you want to give it away for free, move to the valley, and be supported by VC’s. Still jealous of tech startups? If this is you, this really is your talent and space, then it’s being suggested to move into “much harder” technology to avoid competitors. Startup Communities, Making Things Worse? Now, let’s say these “startup communities” are successful in popping up all over the world, and you don’t have to move to Silicon Valley anymore. It would be a fairly good argument at that point…to say the only reason the tech industry has preserved valuations like that, is because Silicon Valley managed to keep it a “Valley only” ordeal. So what happens now, when every city in the world has a startup community, and is building tech startups? Yeah! We’ve rebelled and taken down Silicon Valley! But are they all going to flourish like the Valley? No, it will be the exact opposite. We’ll be looking at a tech bubble bursting much, much bigger then the one in 1999. Why? It’s a basic market principle of supply and demand. You’re increasing the supply (think: every major city in the world having a startup community), and the market demand for tech startups isn’t increasing anywhere near the same pace. Customers can’t keep up with the current pace of technology, nor do they want to. Let me remind you…small businesses. You think you’re a startup too, but by their definition…you’re not. 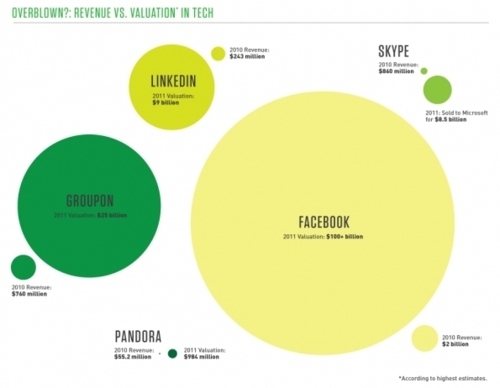 The term “startups” really only applies to high growth technology companies. You shouldn’t want to be one, and you should be happy you’re not one right now. They may get funded with $1 million, but it’s only 1% of them. And approx. only 1/10th of that 1% will survive past 5 years in the tech industry..
And the young entrepreneurs caught up in the hype, (I’m talking to the older generation now): you guys need to stop calling these young one’s “wannapreneurs”. Is your anger blinding you to the fact that every entrepreneur is a “wannapreneur” if it’s their first time? Yes, that means YOU were a wannapreneur at one point as well. What you should be saying, is “wait…something’s got to change here”. On one hand, you have things like this “startup weekend” that are teaching new entrepreneurs this is how you build a company. When it doesn’t happen for them like that, they think they’ve done something wrong, and they can’t figure out what it is. These young entrepreneurs don’t really want to start the “next big thing”, their motivation is the same thing that has fueled entrepreneurship for centuries….passion, ambition, and freedom. What’s wrong, is that they’ve come into a market that teaches them “this is how you make money: by starting a tech startup”. But instead of being a real business owner and mentor to them, you just keep playing into the hype with them. On the other hand, you have older, rigid characters in the market that still abide by rules of business 50 yrs ago, and try to teach them about business and banks (which by the way, banks haven’t existed pretty much since 2006 so with that one word they ignore you). It’s such a contrast between “you” and “startup weekend”, that they choose not to listen to you. Then you get mad and yell “the old way is what works”. Well, guess what? The old way doesn’t work anymore, but the new way doesn’t work either. No one is right. Come up with a different solution. Yes, the business landscape has changed, and you need to change with it. But this doesn’t mean you have to do it in an unprofitable way.